It’s a known fact that more than a thousand people were trapped above the impact zones in the World Trade Center towers during 9/11, and nobody was able to rescue them. Nobody! Worse yet, the roof access doors were locked. 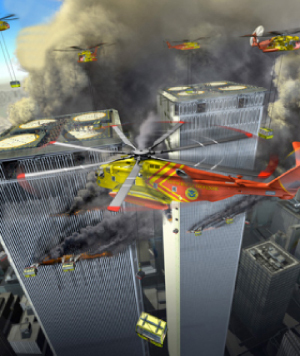 Skyscraper Defense believes that should never have happened and that there should have been a team of rescuers descending on each of the World Trade Centers as if the security of the nation was depending on them.